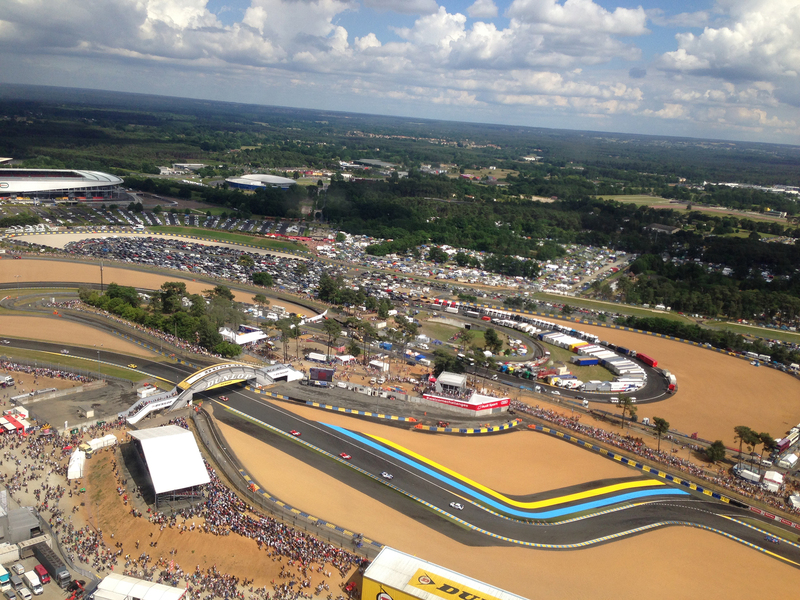 Revolution Switzerland were the lucky guests of Chopard and Porsche at the 24 Hours of Le Mans endurance motor racing event this weekend to witness this mythical race and the unveiling of a brand new timepiece. 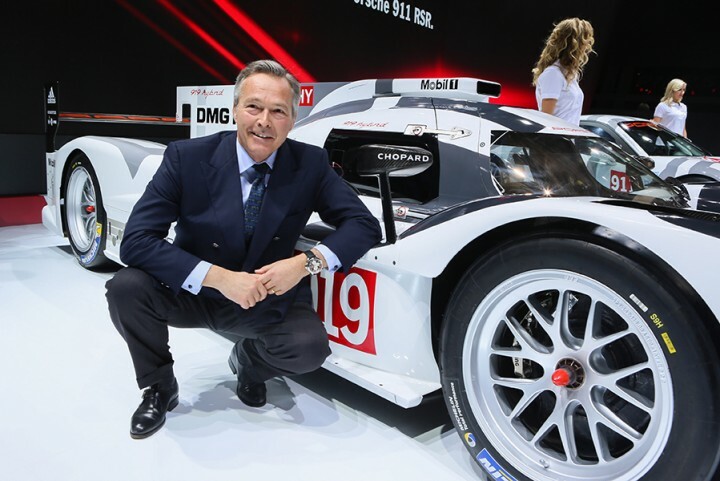 Chopard announced its partnership with Porsche Motorsport back in the spring when it shared its exciting new title of “Official Timing Partner Porsche Motorsport”. 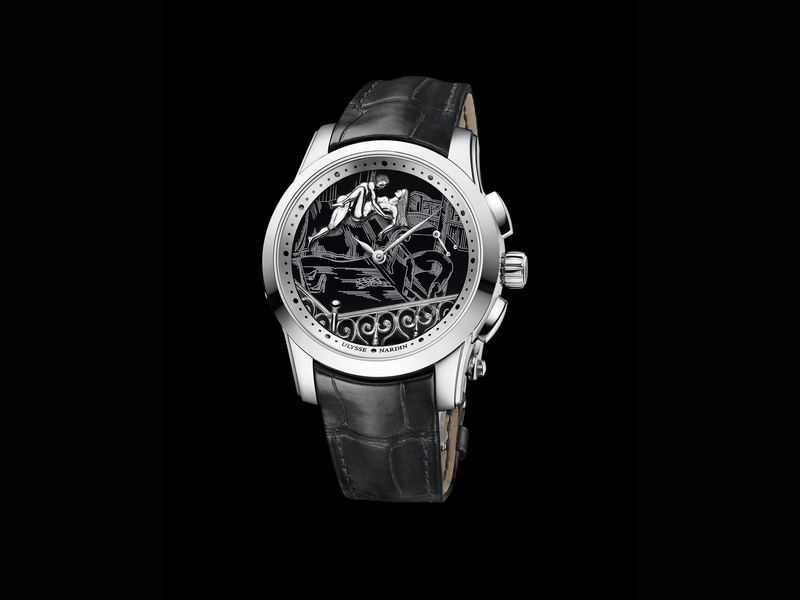 Chopard has long been linked to the world of motor sports through its connection with the historic Mille Miglia race and its co-president’s, Karl-Friedrich Scheufele, own passion for cars and motor racing. This year’s race was an important one for Porsche who had been absent from the 24 Hours of Le Mans circuit for 16 years. The German carmaker had decided to stop participating in the race in 1998 and concentrate on its private collector races worldwide, but recently came to realize how important such a race could be for testing its latest technology and car performance. Unfortunately Porsche were unable to secure a win at this year’s race, but it didn’t dampen their spirits, or those of Chopard, who were present with clients, journalists and Chopard Ambassador Jacky Ickx, a.k.a. “Mr. Le Mans” who has six Le Mans wins to his name, four of which he gained with Porsche. Ickx’s daughter, Vanina, was also in attendance to share her numerous racing experiences on the 24 Hours of Le Mans circuit and unveil Chopard’s new timepiece—The Superfast Chrono Porsche 919 Edition. 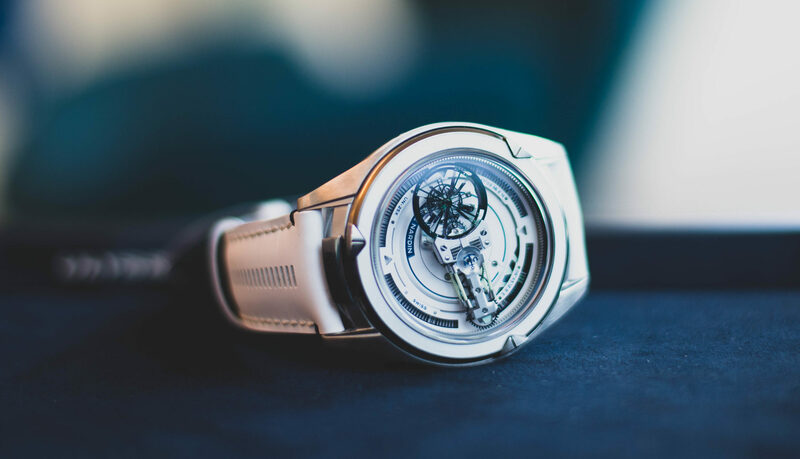 Housed in a 45 mm stainless steel case and equipped with the brand’s COSC-certified 03.05-M caliber, this new timepiece is inspired by the new Porsche 919 Hybrid and limited to 919 pieces. 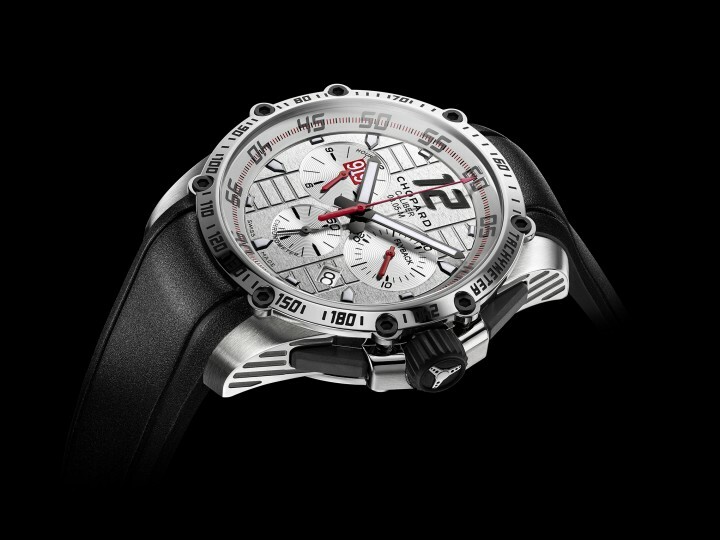 Features include stripes on the dial evoking the racing car’s rear diffuser, the inscription “Official Timing Partner Porsche Motorsport” engraved on the crystal caseback, a red “919” logo inside the 9’clock subdial, and a super-slick tire-inspired rubber strap. We look forward to following this exhilarating partnership in the future. The next date for your diaries is the third round of the FIA World Endurance Championship which will take place in Austin, Texas, (USA) in September 2014.